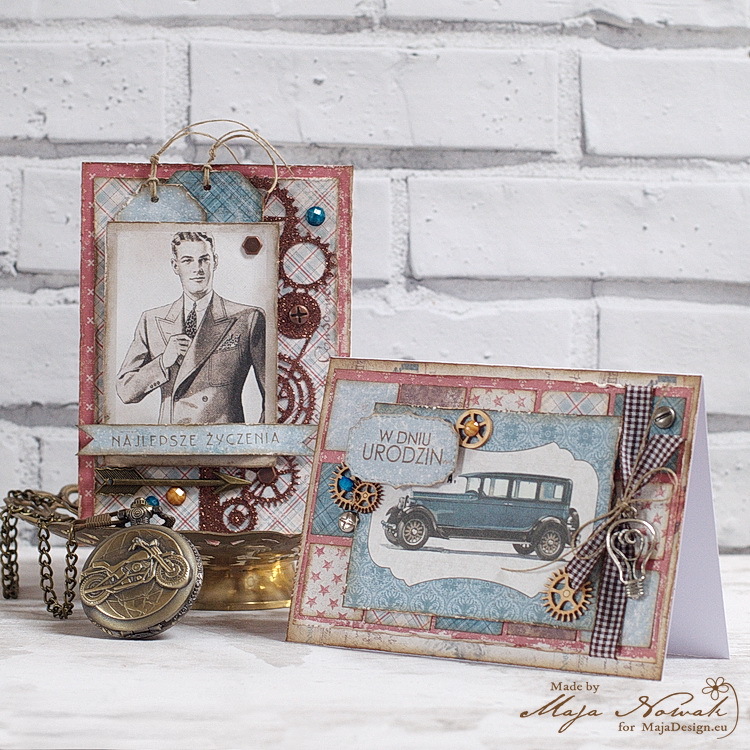 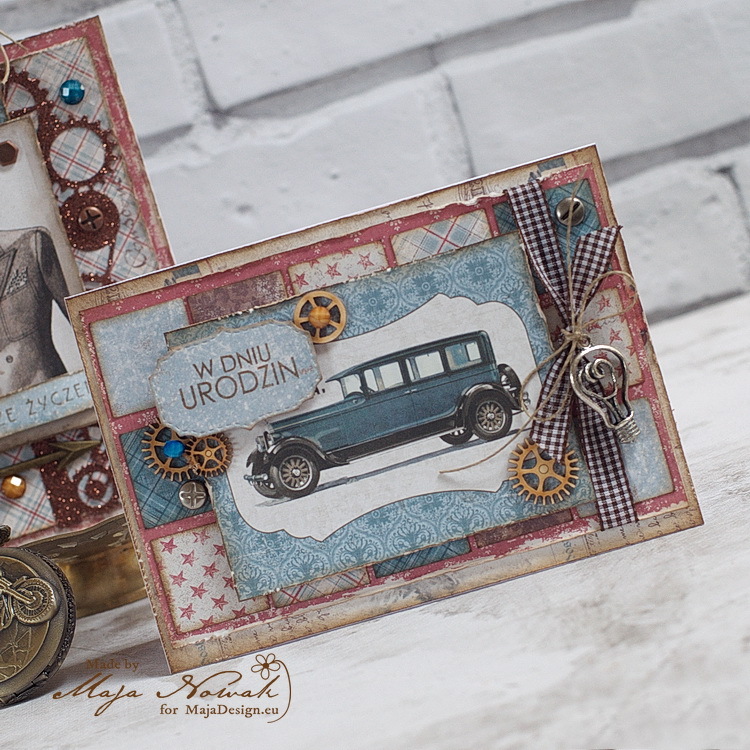 The other card is aa birthday card and a vintage car image as the central piece. 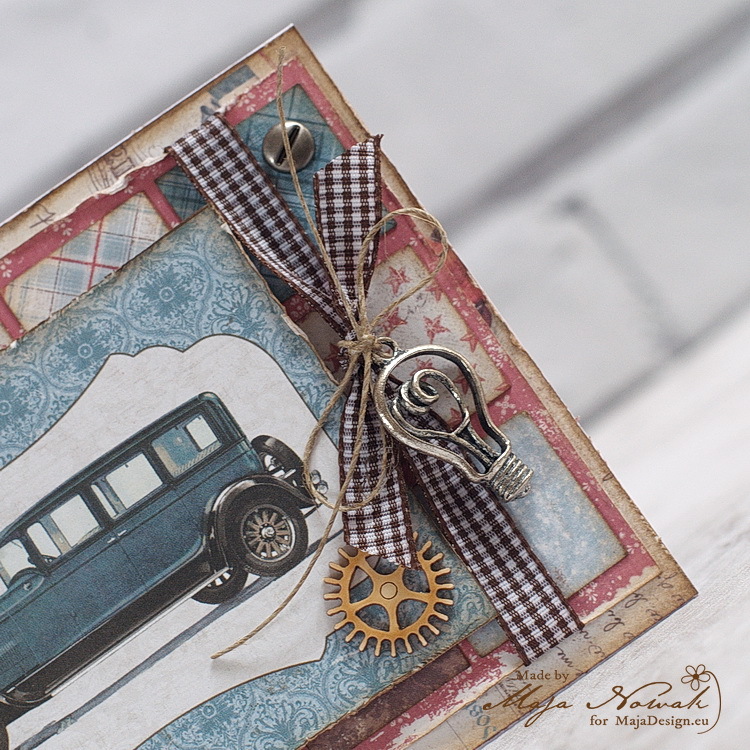 Other: die: Joy!Crafts; stamps: Lemonade; chipboard: Wycinanka; ribbon, brads: Rayher; acrylic gems: ScrapBerry’s; charms, string: my stash. 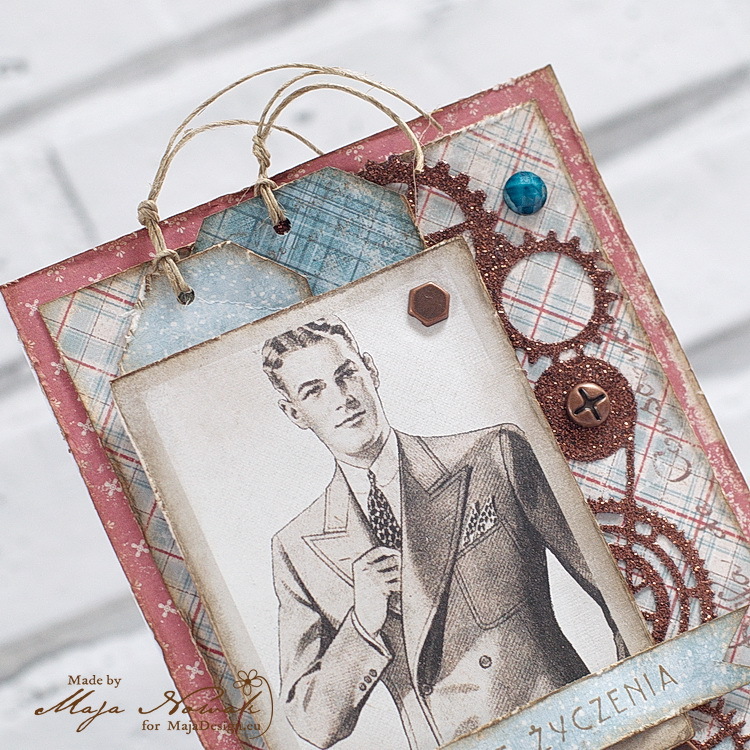 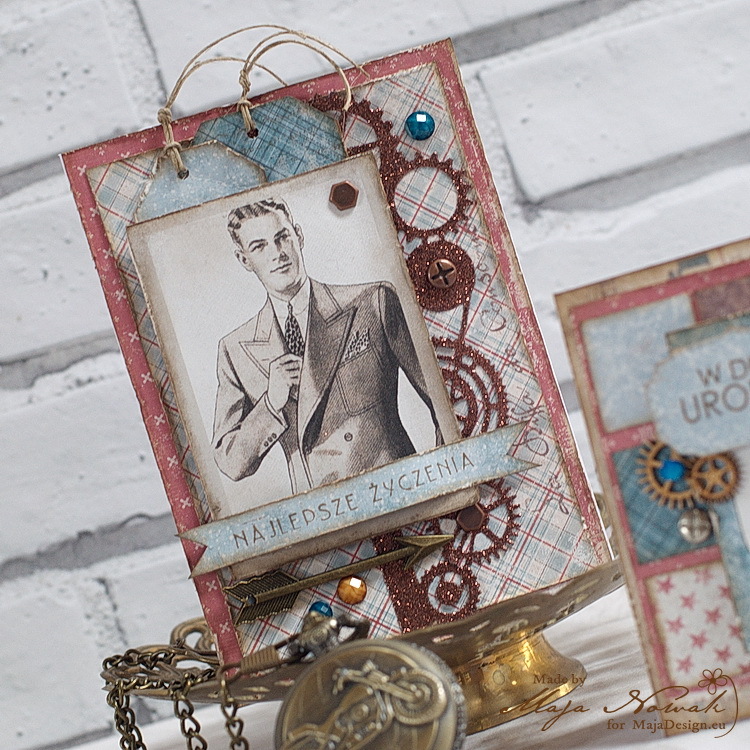 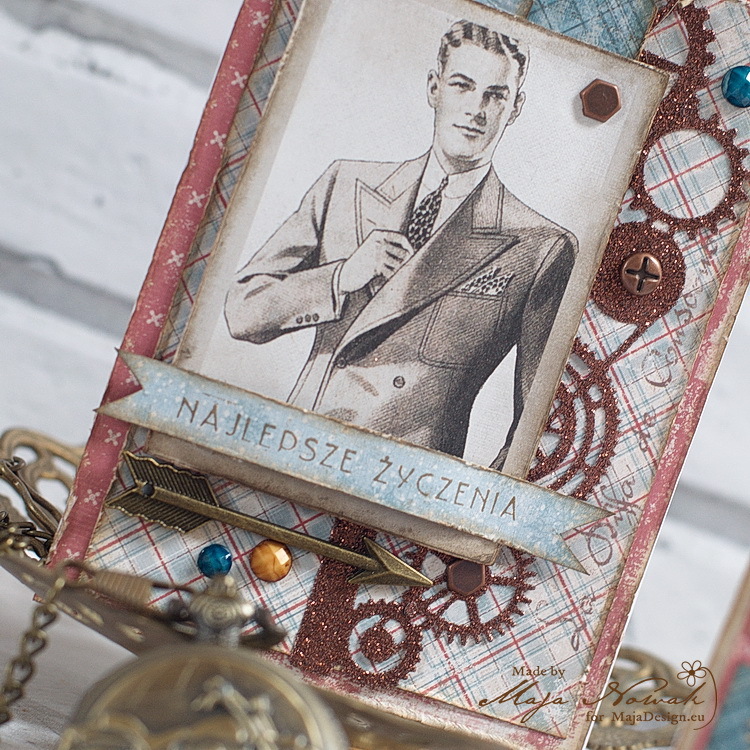 Fabulous male cards here, and great with some new inspiration for exactly these, as they´re always the hardest to make, but you´ve made some really amazing and beautiful ones here.